REV’IT! 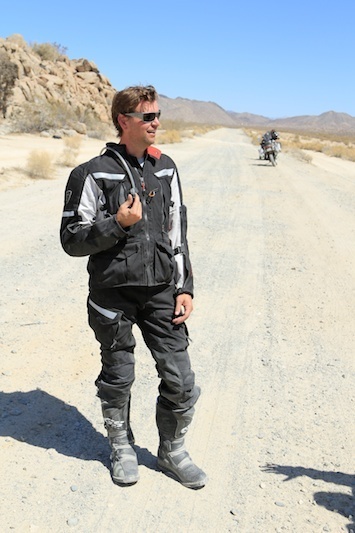 calls it the Sand II suit, and given that handle, where better to evaluate it than Baja. Although our recent foray into Mexico appeared to be little more than a boy’s boondoggle, it was playing hooky with a purpose. 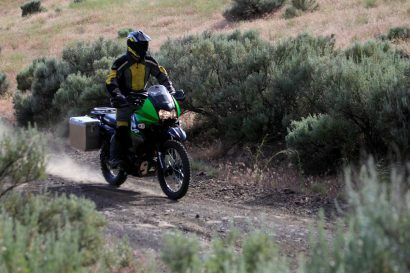 Prior to leaving, we had amassed a pile of premium products we planned to test in the harsh environs of Baja’s backcountry. Topping that pile was Revit’s most popular adventure riding suit, the Sand II. For the sake of full disclosure, I am admittedly a fan of REV’IT! gear. I have worn their Levante jacket and Airwave pants over the course of thousands of miles, and can’t proffer enough high praise. In a market choked with jackets obliterating the $1,000 mark, I find REV’IT!’s value is hard to beat given their attention to detail and gratuitous features. 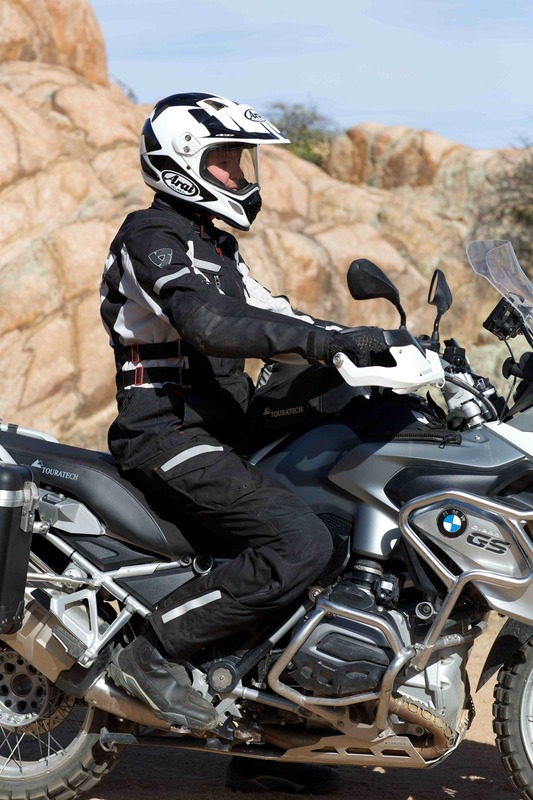 The most popular adventure riding suit in their extensive lineup, the Sand II once again delivers on the promise. The Sand II suit, like many, is a multi-layered system which includes an inner waterproof liner as well as an insulated inner jacket. 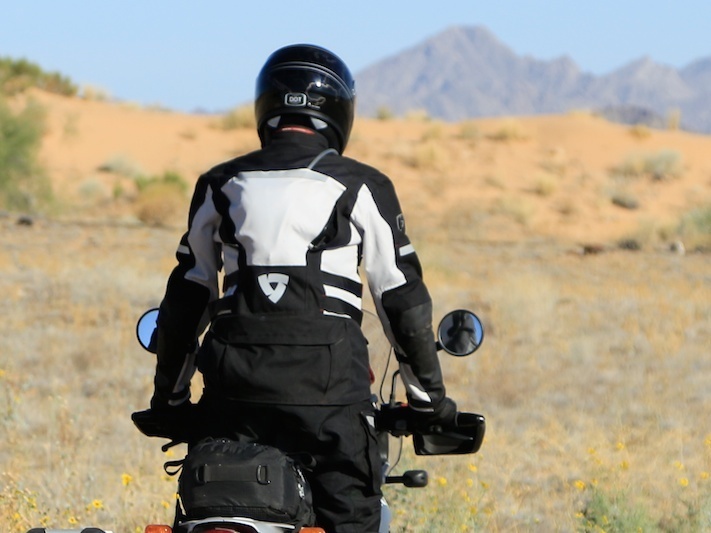 There are many riders disinclined to recommend multi-layered jackets, particularly those with waterproof liners, but waterproof outer shells are difficult to ventilate and above all, are very costly. I can see the compromise with a waterproof liner as a necessary evil, but for those willing to lay out a bit more dosh, REV’IT! does offer a beautiful GoreTex jacket in the Poseidon. I’ve already asked Santa for one, so maybe I’ll report on that suit in the coming year. Given the Sand II’s design mission, the most important features are relative to protection. Aside from the CE certified armor in the elbows and shoulders, my Sand II suit was also fitted with REV’IT!’s very comfortable Seesoft Back Protector. New to the Sand II, there are also connector points to accommodate both Leatt and MOVEO neck brace systems. Rounding out the safety features are reflective accents on the front, back, and sides of both jacket and pants. 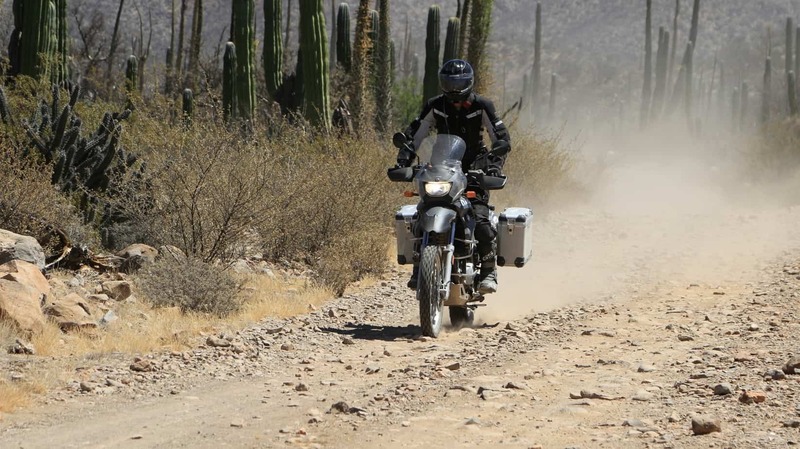 As we rolled our motorcycles closer to the border of Mexico, the temperature increased at an alarming rate. Opening the vents on the Sand II, I was dubious of their ability to fill the jacket with cool air. As the mercury climbed to over 105º I have to say I was surprisingly comfortable, but only north of my waist. While the jacket has ample air pass-through, the two woefully small vents on the top of my thighs seemed academic and provided virtually no respite from the searing heat. A clever addition to the main chest vents, two snap-secured tabs hold the vents in an open position. To test the maximum cooling potential of the jacket, I stopped mid-day to install the Challenger cooling vest. Soaked with cool water and zipped into the Sand II jacket, it instantly dropped my body temperature and even made the lower section of the suit more tolerable. 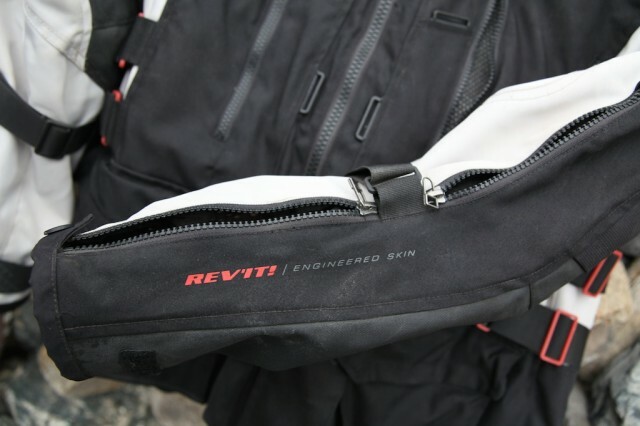 If you ride in any kind of heat, do yourself a favor and acquire one of REV’IT!’s amazing cooling vests. 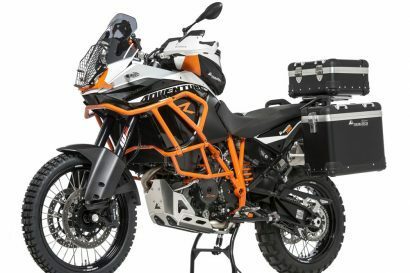 On any long adventure ride, features become welcome assets. A chronic organizer, I am a sucker for pockets and the Sand II has plenty. The two zippered hip pockets on the pants are paired to bellowed cargo pockets on the thighs. Dual hand warming pockets on the jacket are covered by waterproof pockets secured with hook and loop closures. The back has an oversized waterproof pocket big enough to hold the Challenger cooling vest or waterproof liner. 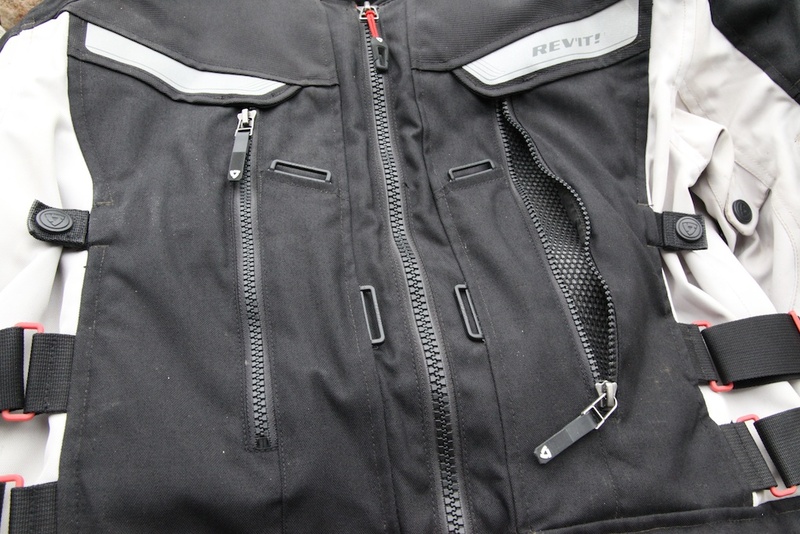 Internal pockets in the lining of the jacket keep important items close at hand, but the most welcomed feature is the hydration pocket in the upper back section of the jacket. I found I could easily wiggle a two-liter hydration reservoir in that pocket placing it on the Seesoft back protecter, thus insulating it from the heat of my back. 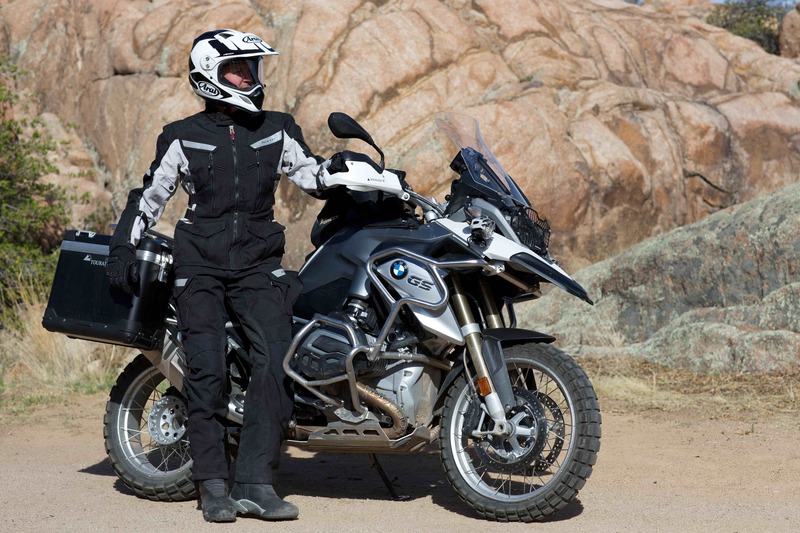 Having reviewed many riding suits as of late, I’ve come to relish details and the Sand II is rife with refinements. There are reinforcements in the high abrasion points at the elbows, inner leg and seat. All of the areas of the jacket that interface with the rider’s sensitive areas are lined with soft-touch materials, namely at the neck and lumbar. Even the collar snap is adjustable for a precise fit. Perhaps my favorite detail is the pair of adjusters on each side of the jacket. Easy to actuate, I’m able to fine tune the fit of the jacket on the fly. While I have not had a need to employ them, there are also zippered connectors available to join the pants and jacket for a more secure fit. Having evaluated at least seven different riding suits in the last six months, one oft neglected metric is relative to fit. An avid cyclist, I’m fairly long and lean. Many of the suits aimed at the American market are, shall we say, rather gratuitous with fit. I’d have to pop Whoppers like Tic-Tacs to pack on the heft needed to fill out some suits. The REV’IT! line seems to have a more neutral shape that accommodates a variety of body types. 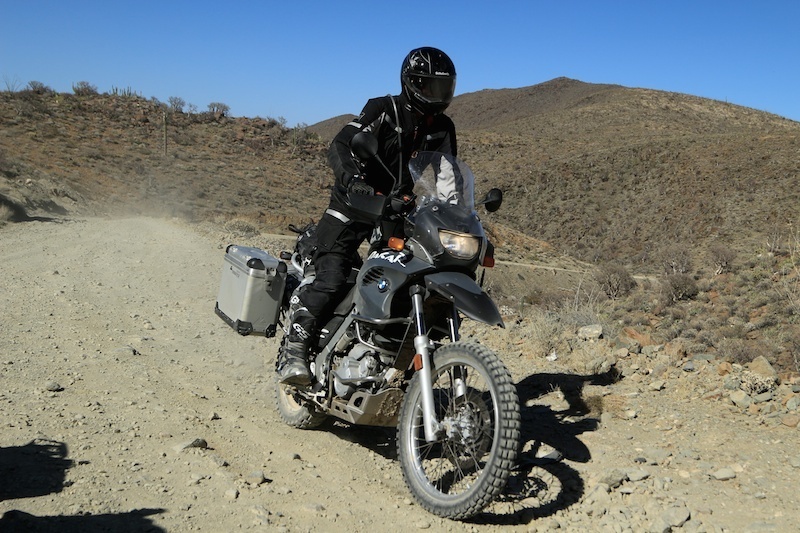 It may have been a bit fool hearty to slip on an unknown suit and ride it into the scorching heat of Baja, but it did prove to be an excellent testing ground. Over the course of a week and nearly 2,000 miles, the Sand II proved it is worthy of its rising popularity. It was comfortable, cool, had all the features needed, and even attracted a steady stream of compliments base purely on aesthetics. At $489 for the jacket and just $329 for the pants, I think it holds true to REV’IT! value proposition, and sets a mean standard for bang for buck return. The Sand II suit above is paired to Revit’s Apache boots and Sand Pro gloves. 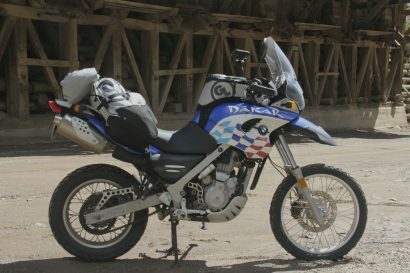 The boots are best suited to lighter off road riding. The gloves are the best I’ve used in years. Stay tuned for a detailed evaluation of the Sand Pro gloves.